More Power- It is nearly 50% brighter than the 1st generation drivers. 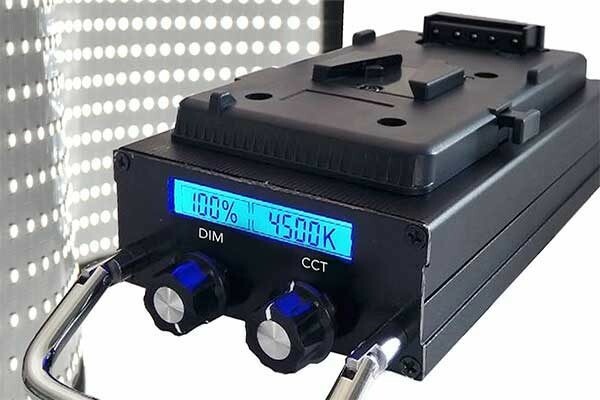 Separate control knobs for brightness and color temperature control when applicable. Dual Plates for 14.4v Batteries. 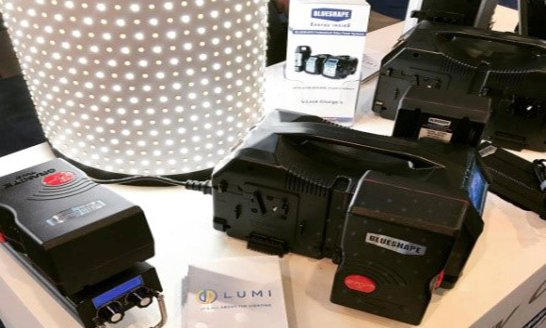 DP Lumi also featured their 3×3 Frame with 1×3 Daylight panels and a single 1×3 bi-color panel powered by BLUESHAPE Batteries, our booth partners at NAB. BLUESHAPE is a European manufacturer of pro-video power systems known for leading the industry in technological advancements. 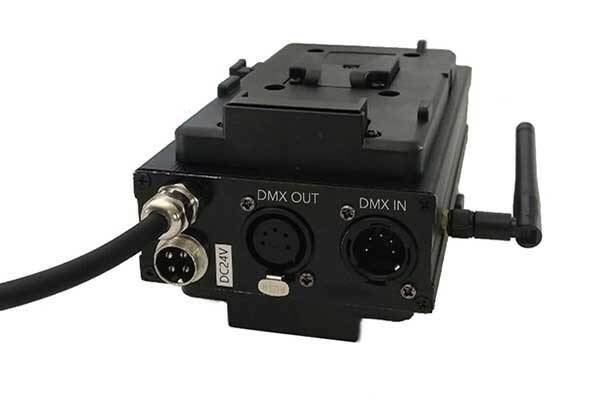 BLUESHAPE introduced at NAB Las Vegas 2018 its 3-stud RUGGED Power Station to complement the other five models. BLUESHAPE also showed their new models of 3stud chargers. The full line of twenty-two batteries (both 3-stud and V-mount) will be available as well. All batteries have the GRANITE Link wi-fi monitoring which will be demonstrated with the GRANITE Link router. 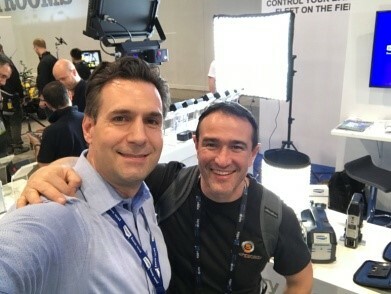 DP Lumi’s President and Founder, Robert DePalma, was present at NAB answering questions and letting attendees test out the lights. He even received a visit from current client, Peter Dimako from Synchronicity Motion Picture and was able to show him a demo of the new upcoming driver. All in all, we can say that NAB Las Vegas 2018 has been a success so far and we look forward to meeting more people, answering questions and letting everyone check out our lights in person. Stay tuned for a full recap of our NAB experience in our upcoming posts. This entry was posted in DP Lumi. Bookmark the permalink.